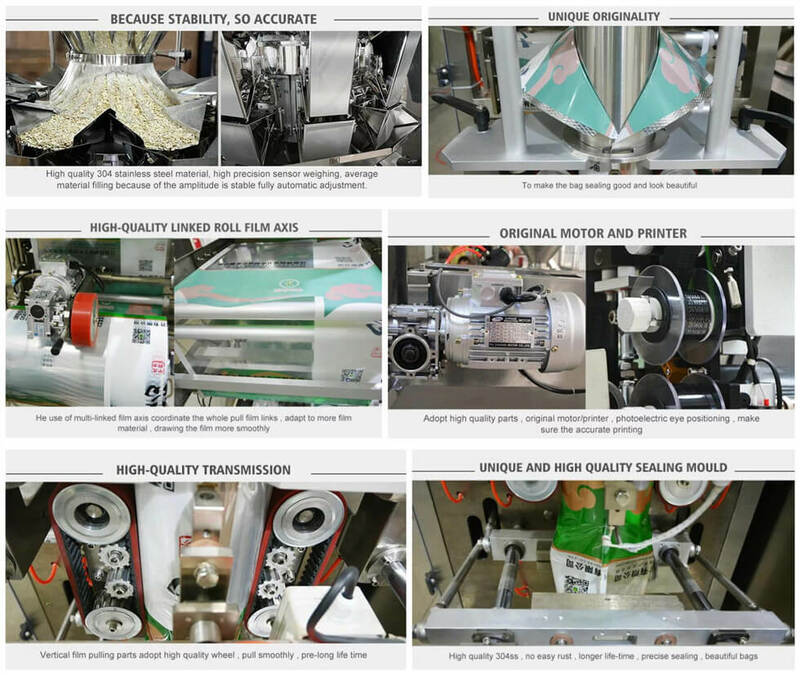 Large Vertical Automatic Packaging Machine, A Complete Packing Equipment For You! 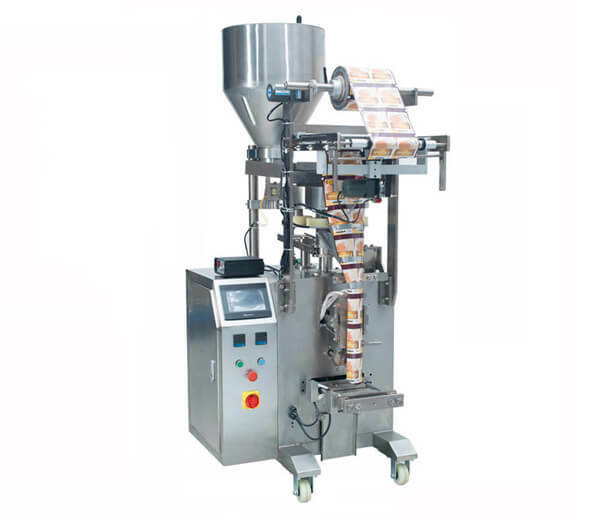 The large vertical automatic packaging machine is also called automatic weighing and packing machine, which can complete the whole production process of feeding, weighing, bag making, date printing, and finished products outputting automatically. 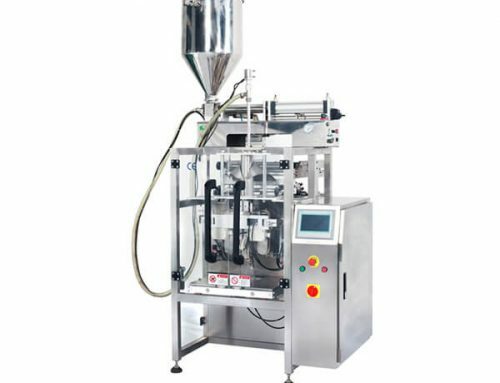 Adopting PLC control system, high precision, fast speed, and can avoid waste, saving labor costs, it is a very good choice for the customers who have a high demand for packaging accuracy and production capacity. 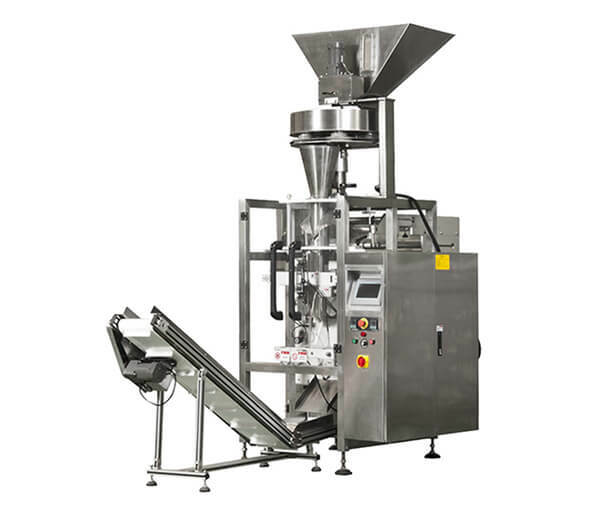 The large vertical automatic packing equipment is suitable for packaging material like OPP\CPP, OPP\CE, PET\PE, NILO\PE, PE. 1. 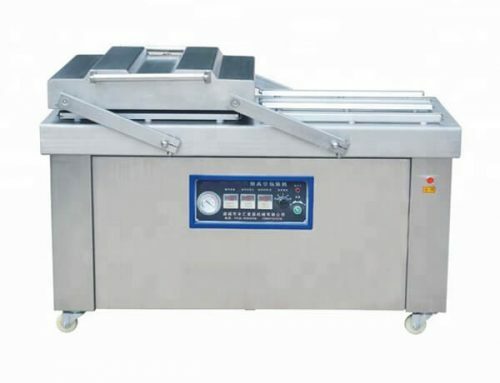 English and Chinese screen display, the operation is simple. 2. 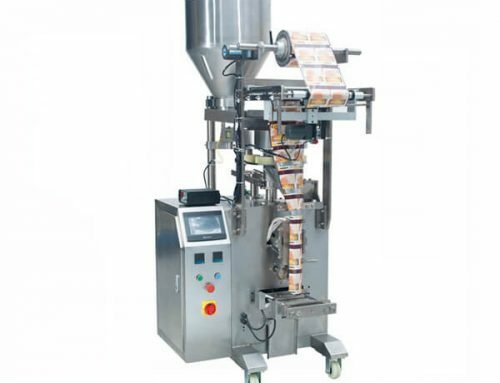 PLC computer system, the function is more stable, adjustment any parameters do not need stop machine. 4. Servo motor drawing film, position accurately. 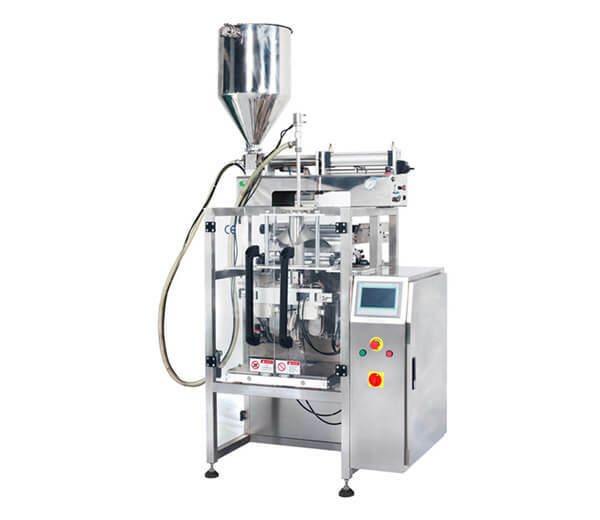 5.Temperature independent control system, precision get to±1℃. 6. 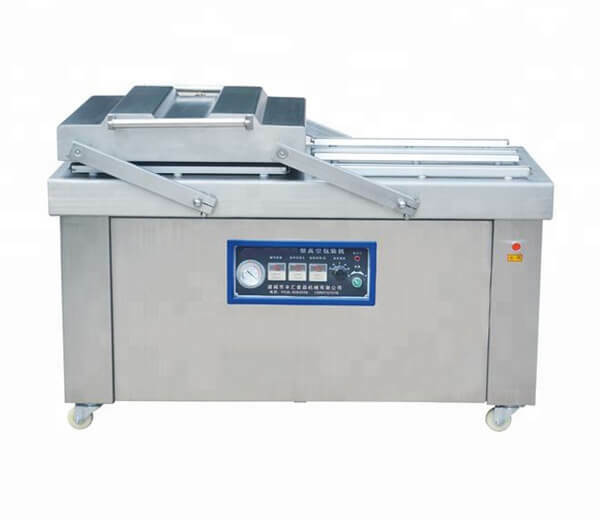 Horizontal, vertical temperature control, suitable for various of mix film, PE film, packing material, etc. 7. 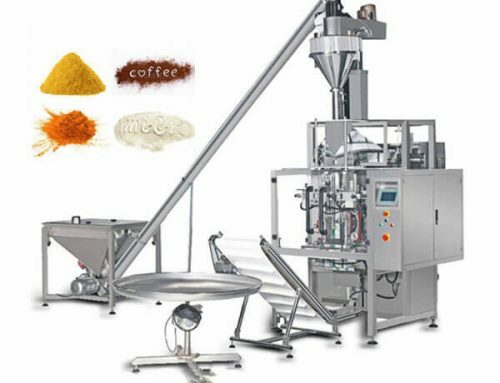 Packing type diversification, pillow sealing, standing type, bags-connected punching etc. 8. 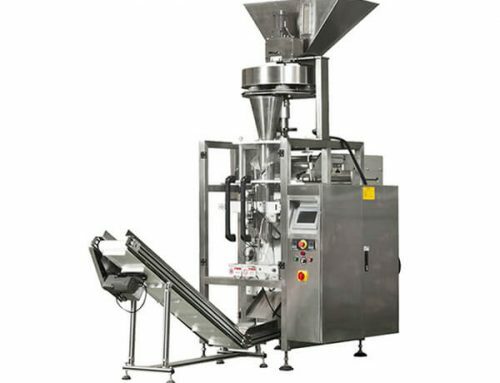 Bag-making, sealing, packing, print date in one operation. 1. 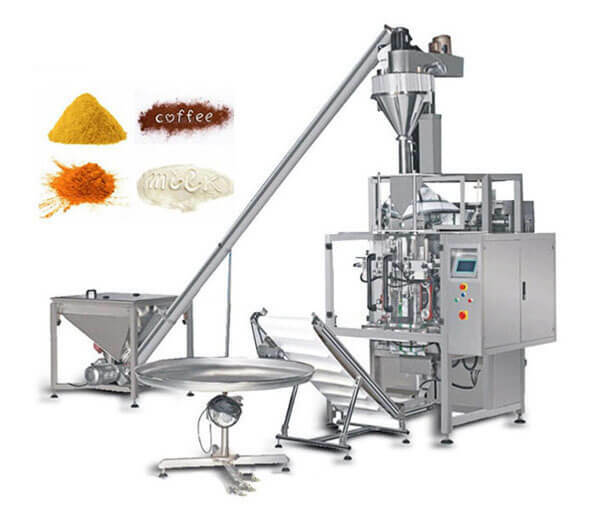 The large vertical automatic packaging machine is widely used in food, hardware, agricultural products, medicine, daily chemical and other multiple fields of granular, the irregular shape and other products packing. 1) Leisure food: frozen French fries, candy, melon seeds, jelly, frozen dumpling, pistachio nuts, peanuts, almonds, raisins, chocolate, etc. 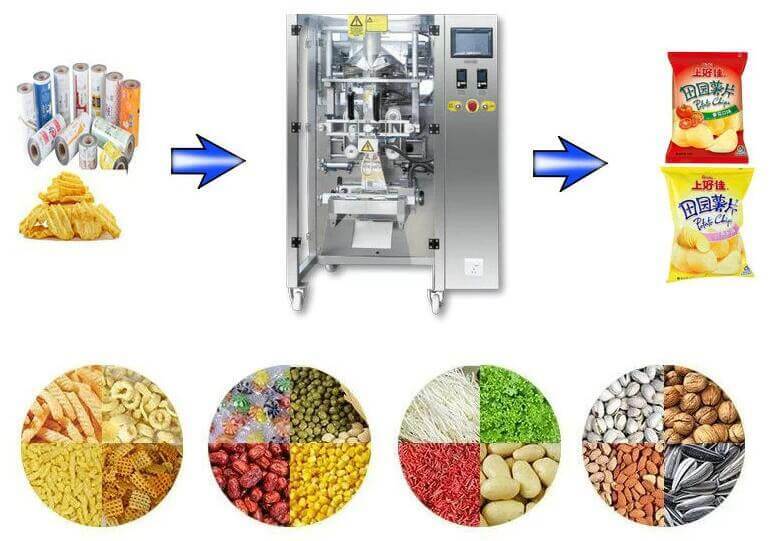 2) Puffed food: potato chips, puffed rice, crispy rice, etc. 3) Others: salt, meatball, washing powder, cereal, pesticide, hardware, plastic pieces, etc.